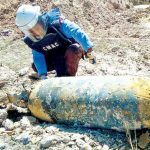 A US M117 bomb weighing 340kg was found in Kampong Speu province’s Chamkar Doung village on Monday, with Cambodian Mine Action Centre (CMAC) officials inspecting the unexploded ordnance the following day, CMAC director Heng Ratana said on Tuesday. 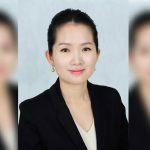 Cambodia Startup Advisers announced in a press release the launch of the first professional service alliance dedicated to supporting the fast-growing technology start-up industry in Cambodia. 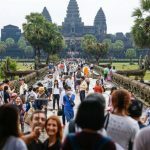 Cambodians are increasingly travelling overseas for leisure, as the number of the Kingdom’s outbound tourists reached nearly two million last year, a trend that a tourism insider said was due to a change in spending habits of Cambodia’s middle-class. 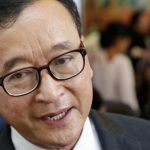 Senior government officials and analysts have slammed Sam Rainsy for not allowing uncomfortable questions at a recent public forum in the US, considering it a gross violation of democratic policy and freedom of expression, and labelling Rainsy a dictator. 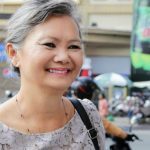 Cambodia is an expatriate hotspot for those dreaming of living a more luxurious lifestyle at an affordable cost, according to International Living’s Annual Global Retirement Index 2019. Cambodian officials have said that the 47 Malaysians held in Banteay Meanchey provincial prison on suspicion of running an online gambling and fraud racket would have to go through the Cambodian legal system. 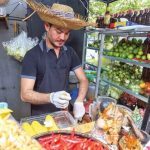 When Tong Heng’s mother passed away, so distraught was the young man from Preah Sihanouk province that he decided to drop out of school, leave his home and venture to Thailand to work in a restaurant. 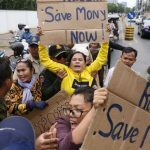 The Ministry of Foreign Affairs and International Cooperation of Cambodia yesterday urged tourists to avoid websites offering e-visas for the country after receiving fresh reports of tourists being ripped off and losing their money. 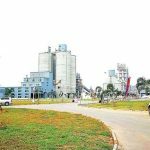 Thai construction materials producer Siam Cement Group Public Company Limited (SCG) reported strong business growth in Cambodia last year, as revenue from its subsidiaries’ sales in the Kingdom enjoyed double digit growth. The deputy president of the Supreme Court-dissolved Cambodia National Rescue Party (CNRP), Mu Sochua, has written to the EU about alleged threats against CNRP acting President Sam Rainsy and other former party lawmakers and activists in Cambodia and abroad. 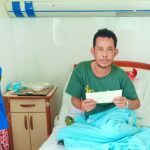 Mondulkiri provincial environment department director Keo Sopheak has said that DNA testing will soon reveal the identities of poachers who exchanged gunfire with environmental rangers, injuring one, at Srepok Wildlife Sanctuary last Wednesday. 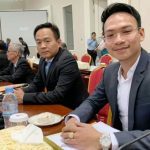 A director at the Ministry of Interior, Thim Sopha, on Monday denied accusations of nepotism levelled against him last week by Khmer Rise Party president Sok Sovann Vathana Sabung. 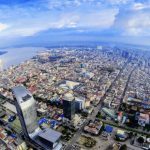 The Ministry of Environment has dismissed “rumours” that the current chronic smog gripping Thai capital Bangkok will spread to Cambodia, saying that, unlike its neighbour, the Kingdom does not have a serious air pollution problem. 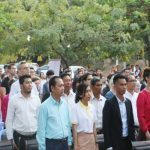 The department of Media and Communication (DMC) at the Royal University of Phnom Penh has launched a mobile app and website – Mapping Memories Cambodia (MMC) – to help the public, especially young people, learn about the important locations associated with the Khmer Rouge regime. 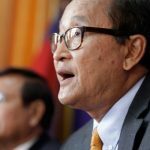 In a Facebook post on Sunday, the “acting president” of the Supreme Court-dissolved Cambodia National Rescue Party (CNRP) Sam Rainsy once again claimed he will return to the Kingdom this year. 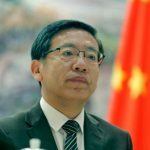 The Chinese Embassy in Cambodia on Friday issued a statement singling out the US’ Central Intelligence Agency (CIA), not the US government itself, as the culprit in the 1970 Lon Nol coup d’etat, apparently mocking last week’s denial by the US Embassy in Cambodia of its country’s involvement. 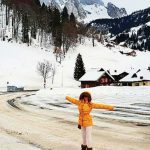 The Appeal Court on Thursday rejected the plea for bail by Rath Rott Mony, a suspected filmmaker who has been “temporarily detained” over accusations of “incitement to discriminate” for his alleged role in a documentary shown last October by RT, formerly Russia Today. 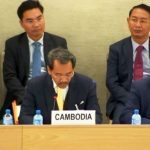 Cambodia received comments from 73 UN member states that made a total of 202 recommendations for the Kingdom to improve its human rights record, in the third Universal Periodic Review (UPR) on Wednesday in Geneva, Switzerland. 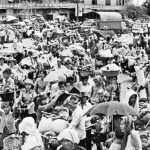 The US Embassy in Cambodia on Thursday claimed on its official Facebook page that there was no evidence the US government was involved in the 1970 Cambodian coup d’etat that precipitated much of the unrest that ravaged the country in the years after. 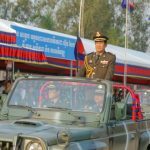 Prime Minister Hun Sen has again used Facebook to compare the Kingdom’s current state of development with that of the post-war era. 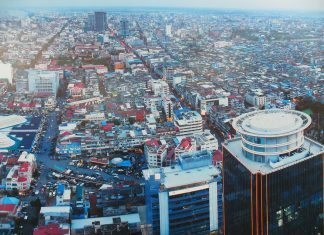 On Tuesday, he posted six photographs – one of a large bombed-out building and five showing current views of Phnom Penh featuring its recently built skyscrapers.